Smarter Balanced is now in its fourth year as the nation’s most innovative online assessment system. We’re excited to continue to provide a world-class assessment that is accessible for students and supports high-quality teaching. Test scores improved from 2015 to 2017 for the 15 states that administered Smarter Balanced. However, the gains from 2016 to 2017 generally stalled. But a lack of gains isn’t the same as a loss. That’s an important distinction. 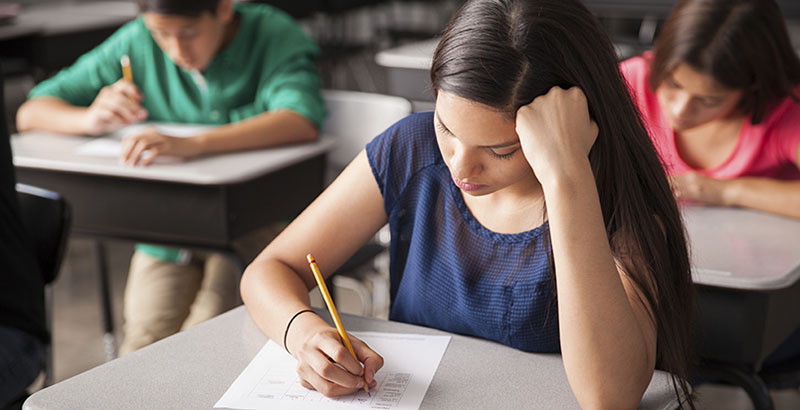 As Robert Rothman wrote in Education Week, it’s not uncommon for scores to plateau. Still, the lack of gains has led some to question the accuracy of the test. For example, we’ve been asked whether our test question bank, which allows us to deliver a state-of-the-art computer-adaptive assessment, could be part of the cause for flat scores. In fact, our item banks actually improved in 2017 versus 2016 by making significantly more test questions available for use in students’ exams. Even with those changes, the item bank was still similar between the two years, with about 70 percent of the items available in both years. Based on this information, and other early analyses, we have every reason to believe that the scores accurately describe what students knew and were able to do in spring 2017 related to the learning standards. Regardless, we are engaging in a rigorous review of the 2017 test data. This is actually part of our annual business practice. Each year, we complete and publicly release an in-depth review of the technical quality of the assessment. And we’re not stopping there. Smarter Balanced, a member-led organization, is undertaking additional analyses to further verify the 2017 results. That additional review will also be incorporated into our technical manuals when it is completed. As we look at overall test score percentages, though, it’s important to remember that averages don’t tell the whole story. There’s plenty of positive work happening in our schools, districts, and states. As noted by EdSource, California’s third-grade math scores met or exceeded all other grades in the state. Those are students who have been learning under the college- and career-ready math standards since kindergarten. As we look toward the results at the end of this school year, we’ll continue to work just as hard to support more of these types of successes. We’ll provide more accessibility resources for the students who need them, more resources for teachers so they may better help their students learn more, and more supports for our state departments of education so they can provide more support for their districts. This year, as in other years, we won’t be distracted from our goal, which is to help our students reach their full potential. After all, that’s what this is about. Tony Alpert is executive director of the Smarter Balanced Assessment Consortium.